Chitwan Safari Tour is the most popular jungle safari trip in Nepal. In fact, Chitwan National Park is the largest National Park in Nepal and widely known as one of the best national parks in the Asia. Well, Chitwan National Park covers the area of 967 square kilometers. UNESCO has already declared Chitwan National Park in 1984 under World Heritage Natural Site. Due to its thriving wildlife population and easy accessibility from Kathmandu and Pokhara, Chitwan National Park is considered as a very popular jungle safari destination. Chitwan National Park offers the diverse ecosystem and the prime vegetation of Sal (Shorea robusta) that covers the 70% of the forest. And 20% of the national park is covered by grassland with as many as 50 species of grasses. Elephant grass is the most spectacular among these all species of grasses which attain heights up to 8 meters. Remarkably, the recorded species of animals in Chitwan National Park is 43 and there are an estimated 600 great one-horned rhinoceros and 106 tigers. Other mammals that are found in Chitwan National Park include Wile Elephant, Gaur, Leopard, Fresh Water Dolphin, Langur, Wild Dog, Hog Deer, Rhesus Monkey, Sloth Bear, Stripped Hyena and so on. Besides, we can also find Gharial which is the most spectacular reptile in the National Park. Other retiles include Pangolin, Python, Monitor Lizard, Tortoise, King Cobra, Mugger, and 19 other species of snakes. In fact, Chitwan National Park is the home of 485 different species of birds. Three Boys Apartment & Tours Pvt Ltd. offers very beautiful opportunity for you to explore Chitwan National Park for various jungle safari activities. Get ready to experience the rich wildlife of one of the finest National Parks in the Asia. You are going to enjoy the wonderful Tharu Culrture, Elephant Back Safari and Jungle Walk, Jeep Drive and Canoe ride and other adventurous activities. Upon your arrival in Kathmandu, you will be received by our representative from Three Boys Apartment & Tours Pvt Ltd. at Tribhuvan International Airport and then, you will be transferred to the hotel. Today, you will have a full-day guided sightseeing tour of Kathmandu Valley. You mainly visit the world-famous sites including: Pashupatinath (the holiest temple of Lord Shiva), Swayambhunath (The Monkey Temple), Bauddhanath (one of the oldest and largest Buddhist Monastery), and Kathmandu Durbar Square among others. You will stay overnight at the hotel in Kathmandu. Today, after taking our morning breakfast, we drive to Chitwan from Kathmandu. On reaching Chitwan, we check-in to Jungle Lodge and in the evening, we can enjoy the Tharu cultural programs. We today go for canoe to elephant breeding center to observe the baby elephants. 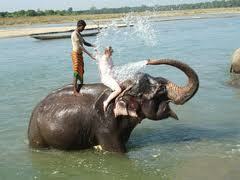 We also enjoy the elephant wash in Rapti River on the way back to hotel before lunch. We then enjoy the elephant back safari in the afternoon. And in the remaining time, we can also go for jungle walk to Kasara to Ghadagai. Today, we will go for further jungle activities in Chitwan National Park. We can go for a full day Jeep drive to Ghadagai. Well, Ghadagai is the village on the bank of Rapti River having few simple accommodations for a night. You will find this place so amazing and may even get a chance to witness wild animals like one-horned Asian Rhinoceros and other animals crossing the Rapti River towards the village for their evening meals. We can also enjoy the bird-watching today. We stay overnight at jungle lodge. Today, after enjoying two days of jungle safari in Chitwan National Park, we return back to Kathmandu. In the evening, we celebrate the farewell dinner. Today you will be saying goodbye to Nepal. 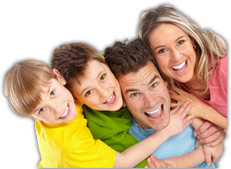 Our representative will accompany you to transfer to the airport where you will catch you returning flight to your home. Jhamel Travels were very professional and meticulous in planning the entire trip. Details such as SIM card were thought of even before I landed in Kathmandu. Mr Gopi Ram personally checked out the hotels before he booked them, making sure the quality and service are up to its required standard. The driver hired for the trip was very experienced. Mr Gopi is very calm and patient in explaining the local situation and he tried his best to meet all of my needs. He even invited me for a free cooking class at his home, which I appreciate very much. Overall, I had a very nice time. And I have pleasant memories of Nepal. Mr Gopi has planned the trip well and I appreciate the extra thoughts that were put in to make all the difference to me experience in Nepal. I highly recommend any couples or families especially to tour with Jhamel tours as rest assured, the details will be well taken care of. Thanks to Jhamel tours & Travel Pvt Ltd. for providing life time experience. I definitely recommend Jhamel tours & Travel Pvt Ltd. for everyone for any travel and tour package in Nepal.